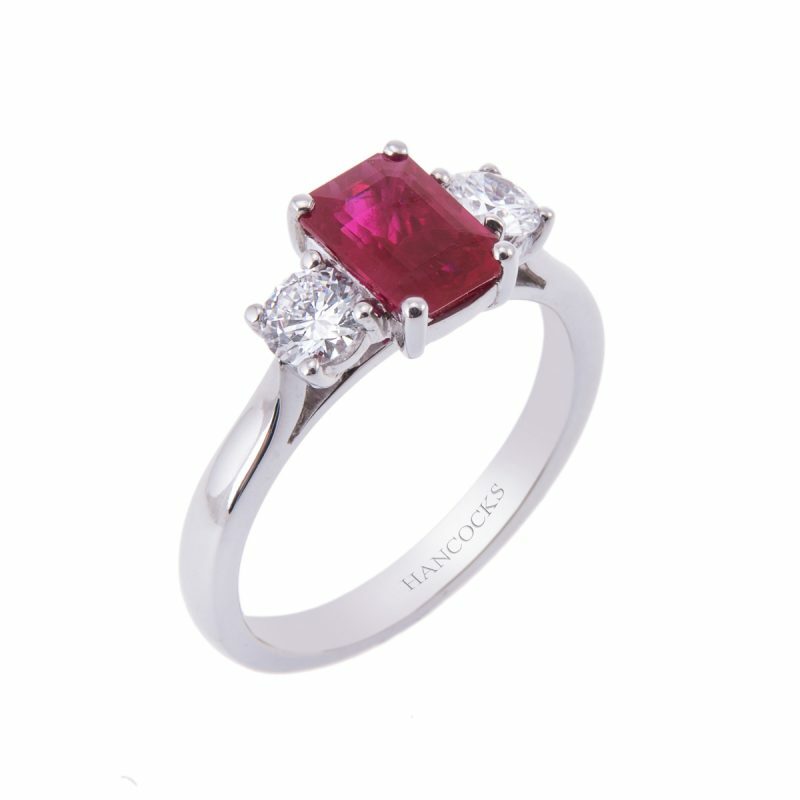 An emerald cut ruby mounted in a platinum classic claw setting with 2 brilliant cut diamonds. 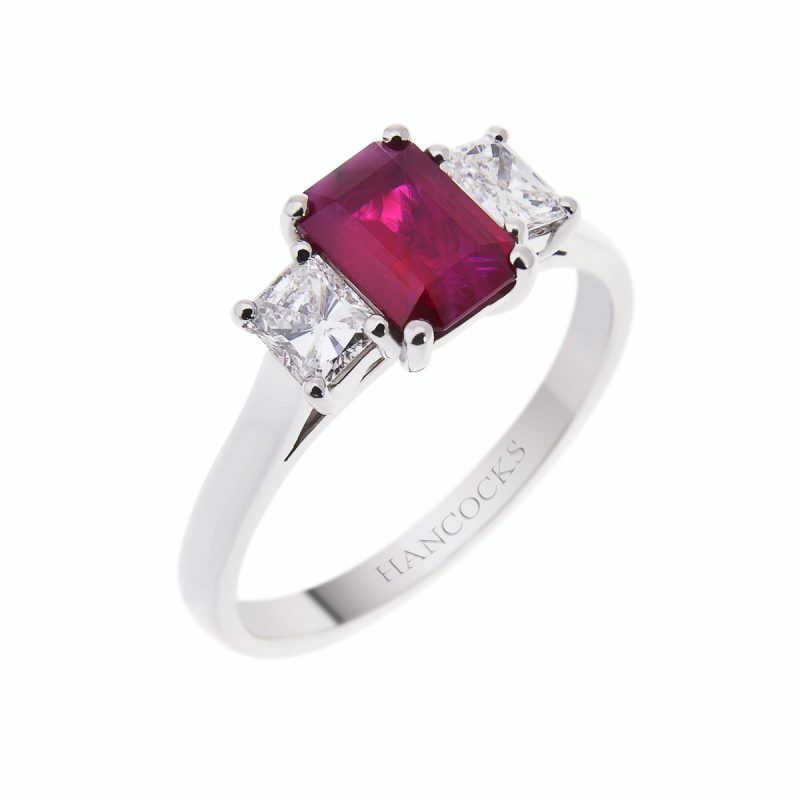 The sweeping under bezels allow any of Hancocks wedding bands to sit next to it seamlessly making it the perfect choice as an engagement ring. 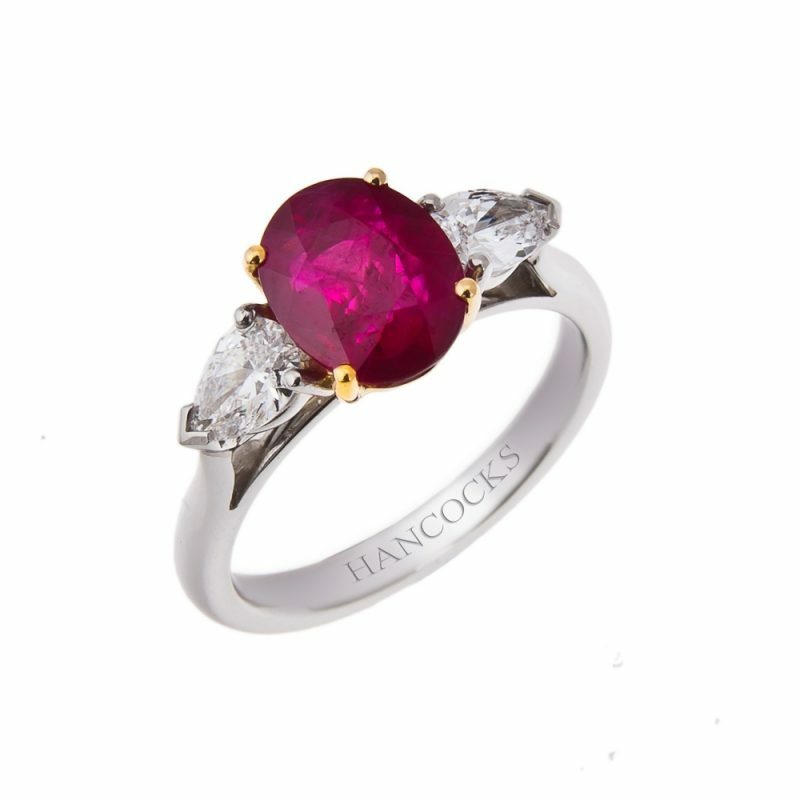 A fiery jewel ablaze with natures flame for the passionate natured, harnessed by a rein of brilliant cut diamonds. Not a jewel for the faint hearted.